Plan A was to run the Derby Day on grass, Plan B was to move to the all weather sand arena if the ground conditions weren’t suitable, but we had to revert to Plan C, bringing the competition all indoors. 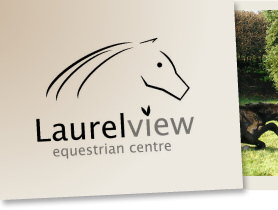 Everyone was very glad that we had an indoor option when they arrived to Laurel View with the rain going sideways!! Massive thanks to everyone who supported the competition on an awful August day and to all the team who were responsible for preparing the arenas and building the course, Simon for whizzing around rebuilding fences and Laurel for her judging duties. 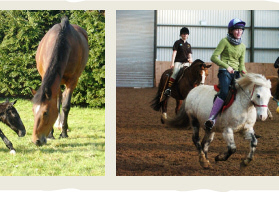 The Derby Day course was no less complex indoors, with competitors having their sat nav well tested and their steeds having to display dexterity and fence focus to earn the top spots. 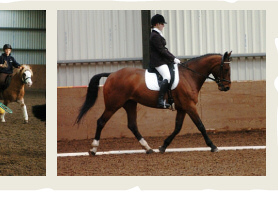 Hopefully the Equi-Tog photographer captured all the competitors in a good light. 1st Lady, Kerri Jones; 2nd Rab, Zara Jones; 3rd Arrow, Shannon McClurg; 4th Fonzie, Emma Hosick. 1st Jack, Amy-Lee Hanvey; 2nd The Glens Princess, Patricia Hughes; 3rd Arrow, Shannon McClurg. 1st Annika, Jessica Simpson; 2nd Omar, Hannah Schnell; 3rd Glenford Starlight, Bethany Gordon; 4th Tommy, Raisa McMullan; 5th Kermit, Simon Carson; 6th Princess Belle, Claire Gilchrist. 1st Glenford Starlight, Bethany Gordon; 2nd Annika, Jessica Simpson; 3rd Kermit, Simon Carson.